It’s clear, the more your attendees get involved, better relationships are forged, which in-turn has a positive impact on productivity, long-term working environment and employee satisfaction. While the event doesn’t have to be lit from start to finish, but a few cleverly placed activities or experiences can add more excitement to the event and give it an edge that’s simply too hard to forget. Mentioned here are 3 common challenges and their solutions. Marketing budgets are often small. In fact, a majority of event creators often say that their event budget is inefficient. So, when you’re looking to expand your event, you have to make informed decisions on where to allocate the marketing spend. Given resource constraints, many organisers choose to share costs by partnering up with brands and sponsors. These partners, once on board, help free up budgets for other uses like perks/give-aways, food and drinks, and insurance. Collaborating with locally (or nationally) known brands can help you reach out to a wider audience, without spending a fortune. For example, with Brand Partners on board, you can get them to update about your event on their social media platforms and send promotional emails to their audience. Companies are in a race to get their name out in the public arena. Take advantage of that. Find a budding company looking to establish itself in the market. Offer discounted sponsorship packages if they pitch in additional marketing on their investments. On any given day, you have multiple responsibilities to complete in an impossibly small window of time. Probably, if you don’t have a big team to help you out, the smallest possible inefficiency can set you back. Try out these ways to make the time you spend on marketing more productive. This rule suggests that 80% of your output comes from solely 20% of your input. In short, concentrate on the tasks that will create the most impactful ripples. If any task is not worth the efforts, cut it off. When you fall short of manpower, activities like manually pulling email lists, optimising ads, or scheduling social media posts will quickly leave you with no time to up your event marketing. 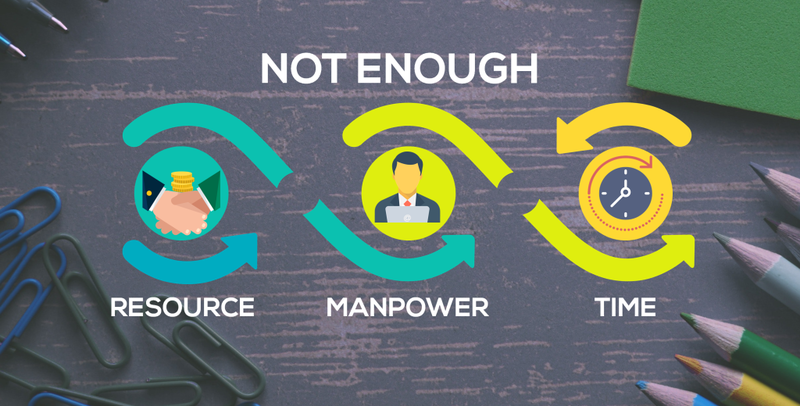 Automation can help free up your time thereby enabling you to get involved in meatier tasks than meagre ones. With so much to do, you can’t waste a single moment. There are sponsors you need to win, contracts you need to review, and volunteers you need to train. And you still need to find time for marketing. Invest in help that you trust, it may be a team or even just one person that you can delegate to and be assured that the things will get done successfully. If you’re looking to allay stress, outsource what you can. Even if you can’t afford to get a full-time partner, hire a part-time co-ordinator. Let them help with some of the day-to-day tasks, so you can focus more on the strategic aspects of your event. The lifeblood for your event will be your core team, the staff that will be on the clock year-round. A team is a vital factor for any successful event so build it efficiently. 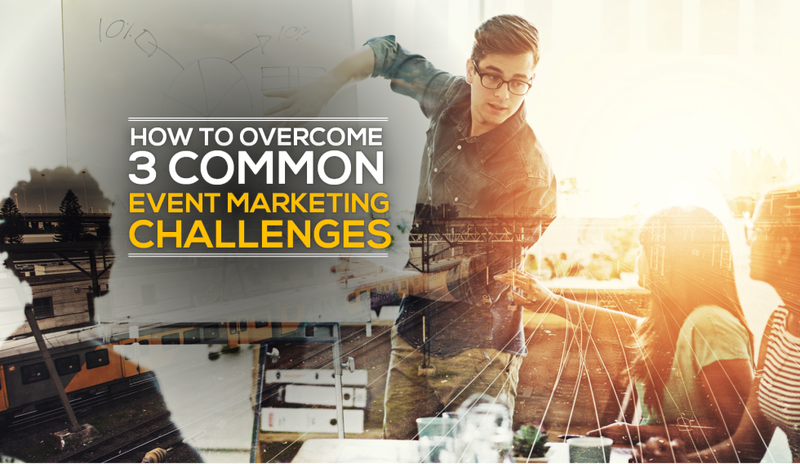 If you experience any of these event marketing challenges, don’t give up! Consider the tips above and take necessary actions to improve your marketing campaign. No matter what unexpected event marketing obstacles you face, they can be tackled with proper preparation. Create a Plan B for every scenario and train yourself to think as needed. With Shobiz, expect a suite of integrated apt services. We expertly execute the entire marketing process. In addition, we offer a Sponsor and Partner Marketing service through which we formulate liaisons with Sponsors and Partners, outline the various opportunities and entitlements that build a strong marketing prospectus.